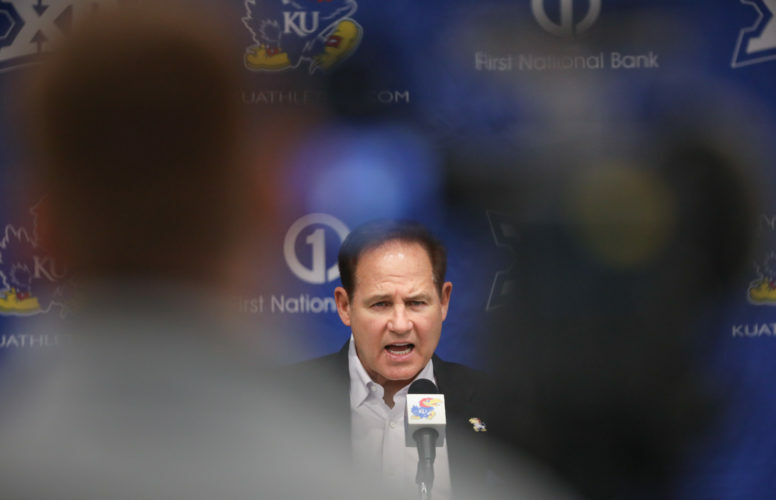 Whether the next head football coach at the University of Kansas turns out to be Les Miles or someone else, the man charged with turning around the Big 12’s worst program seems more likely to be long in the tooth than one of college football’s up-and-comers. 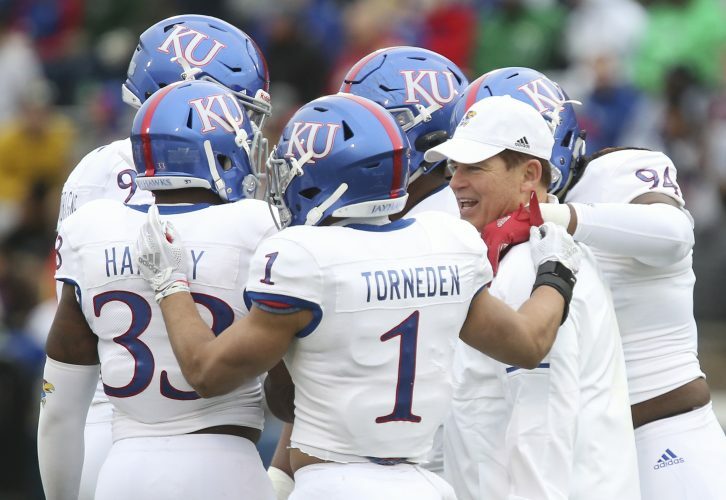 Ideally, athletic director Jeff Long wants KU football’s next leader to arrive in Lawrence well-versed in all that goes into running a college program. 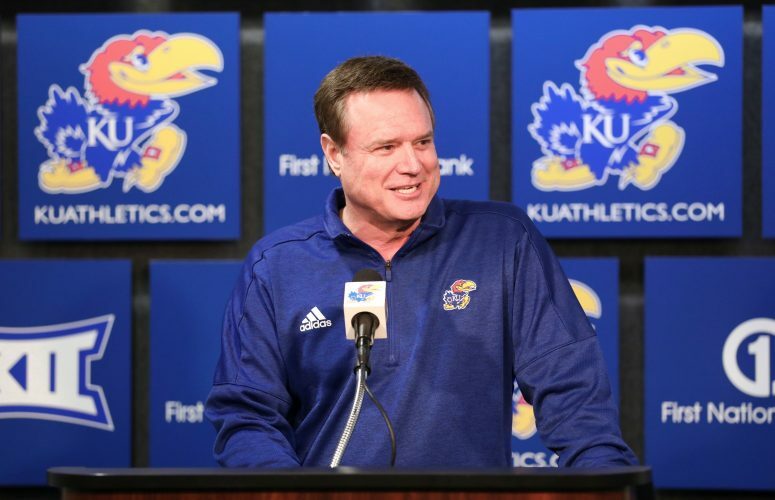 Theoretically, the coaches who have been around the game the longest would be most equipped to deal with whatever unforeseen challenges pop up at KU. 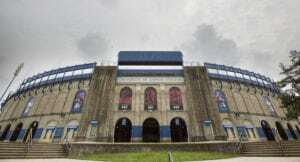 How exactly would KU’s AD view a candidate’s age — as a positive or negative — while searching for a replacement for David Beaty, 48? Long was asked one such question during his press conference earlier this week. “Well, by federal laws I’m not allowed to have age be a factor in my search,” Long was quick to point out. Through his next words, though, it seemed the athletic director wouldn’t mind hiring a coach who was closer to the retirement stage of his life than his football playing days. The most prominent name tied to KU’s job opening the past several days, former LSU and Oklahoma State head coach Miles also happens to be the oldest candidate being mentioned among Long’s potential hires, theoretical or otherwise. 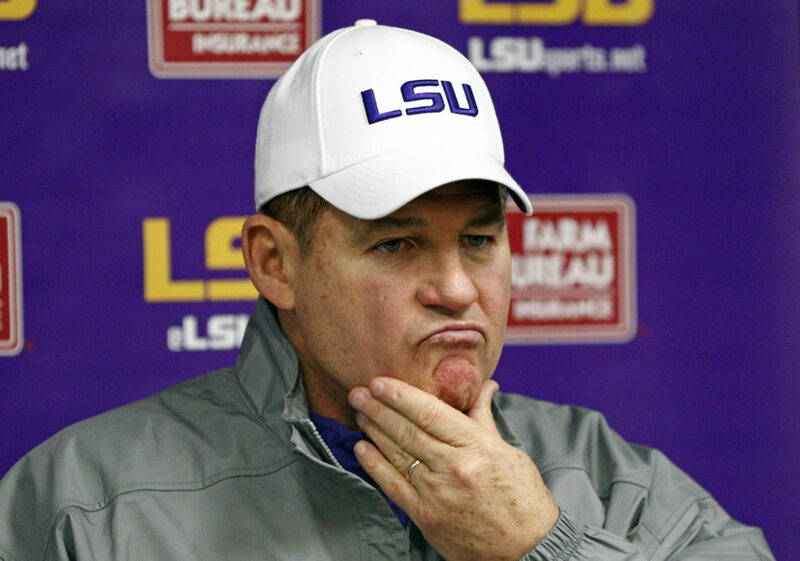 Miles turns 65 on Saturday and hasn’t coached in a little more than two years, when LSU fired him four games into the 2016 season, despite his .721 career winning percentage and national championship with the Tigers. Currently the defensive coordinator and inside linebackers coach at Oregon, Jim Leavitt, 61, has spent the better part of the past four decades in college football. True, Leavitt hasn’t been a head coach since 2009, but he did leave South Florida with a 75-44 record and five straight bowl appearances to close out his run there. A three-time FCS national champion as head coach at North Dakota State, Craig Bohl, 60, is now in his fifth year at Wyoming. Bohl’s Cowboys are currently 4-6, and they’re 26-35 since he took over in 2014. Still, it’s his stellar 104-32 run over the course of 11 seasons with North Dakota State that makes him an intriguing coach for a Power Five program in KU’s position. A few other names featured in our 32-candidate coaching search bracket at KUsports.com are approaching 60. Tulane’s Willie Fritz, 58, worked his way up through the ranks. This year marks his 26th as a college head coach and 22nd in charge of a Division I or Division II program. Fritz has Tulane at 4-5 this year. He’s 31-27 over the past five, thanks to an 18-7 mark in two seasons at Georgia Southern, before he moved on to Tulane (13-20). Jeff Tedord, 57, has amassed a 100-62 record during his close to 13 seasons coaching at the FBS level. Tedford’s Fresno State team is off to an 8-1 start this year. From 2002-12, Tedford’s Cal teams went 82-57 overall and 5-3 in bowl games. Now the receivers coach at Michigan, former Florida and Colorado State coach Jim McElwain is 56. The Florida job, like most in the SEC, is a beast, often accompanied by unrealistic expectations. McElwain led the Gators to a 10-4 record in 2015, 9-4 in 2016 and then was fired at 3-4 in 2017. Previously, he went 22-16 in three seasons at Colorado State. 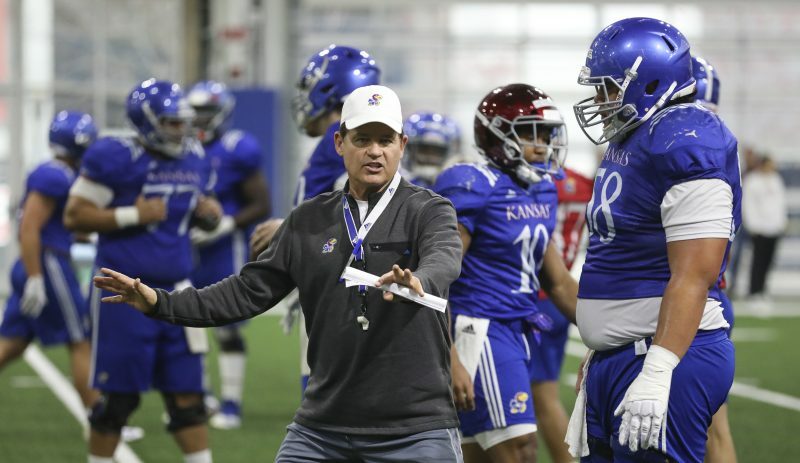 Considering what KU football has endured since Mark Mangino was forced to resign following the 2009 season, any of those veterans, grizzled or not, signing on with Kansas would signify a change for the better.